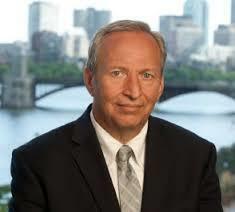 Larry Summers has campaigned tirelessly for the elimination of the U.S. $100 bill. He has joined his Harvard faculty colleague, Ken Rogoff, in supporting steps to eliminate cash from the U.S. economy. But, when one his fellow elites, Indian Prime Minister Modi, actually did eliminate the most widely used forms of cash in India, the mostly cash-based Indian economy imploded. Businesses ground to a halt as vendors refused to accept cash for needed inputs like fuel and raw materials. Food shortages broke out as fishermen and farmers could not get goods to market. Banks and ATMs shut down and money riots broke out in certain locations. Did Larry Summers learn a lesson about the unintended consequences of egghead policies? Did he express some humility at the fact that currency is an important source of liquidity in every economy? No. In fact, Summers and his co-author have doubled down. In this article , they write: “On balance, nothing in the Indian experience gives us pause in recommending that no more large notes be created in the United States, Europe, and around the world.” Some people never learn.